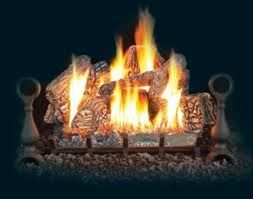 All Napoleon gas log sets feature a unique burner technology unsurpassed by any other gas log sets in the industry. The PHAZER logs, crafted from only the finest ceramic fibers together with advanced infrared heat technology, provides an excellent additional source of heat with real wood fire appearance. 100% SAFE GUARD gas control system automatically and quickly shuts off gas supply with added oxygen depletion sensor for additional safety. Available in natural gas or propane and in three sizes: 18", 24" and 30"